David Xie is a Project Manager at Global Trade Advisors in China, specializing in factory management, international communications, quality assurance, and supply chain/logistics management. In that capacity, he communicates daily with GTA’s factories and logistics providers on a wide range of product development, sourcing and marketing matters. 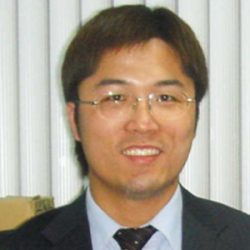 Mr. Xie has more than 15 years of experience working in product sourcing for various companies. He has worked in many different areas of product sourcing including technical support, chief engineer, marketing and operations. Born in China, he is proficient in Mandarin Chinese and English. Mr. Xie graduated from Shanghai JiaoTong University, China with a dual degree: Bachelor in Power and Energy Engineering, and Bachelor in Accounting. He received his Master degree in Business and Administration (MBA) from Shanghai JiaoTong University, China.